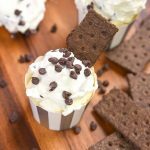 Mini and fun, Easy Chocolate Cupcake Recipe! 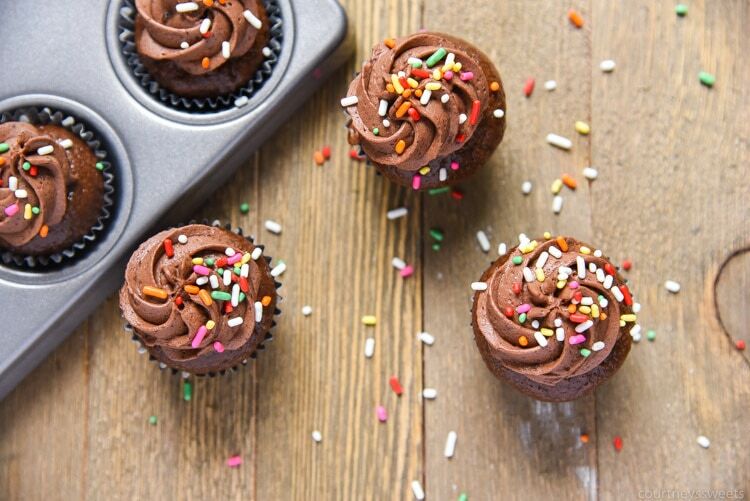 Our chocolate cupcake recipe uses a healthy food swap instead of oil, we use greek yogurt! 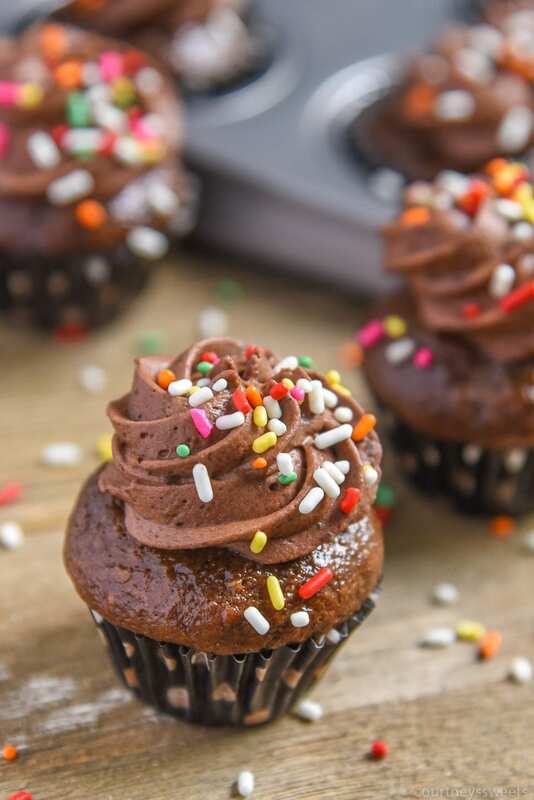 This easy chocolate cupcake recipe from scratch is easy to double to make standard size muffins too. 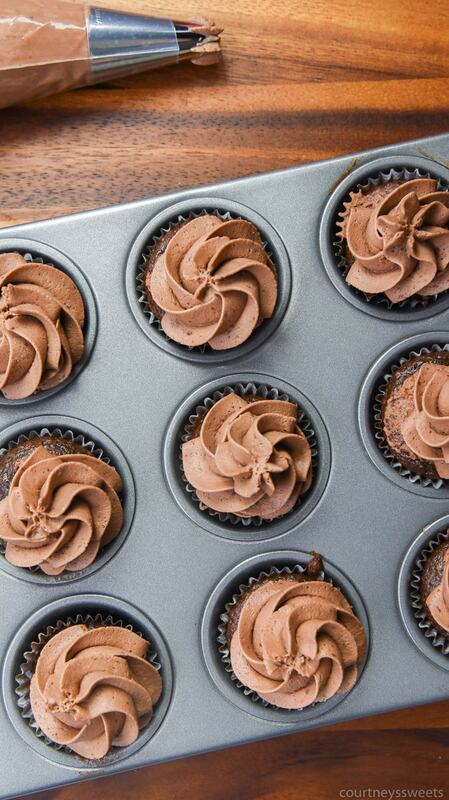 This easy chocolate cupcake recipe is not only easy to make but of course, eat! 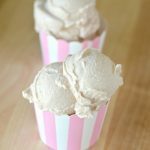 I love making cupcakes from scratch and this recipe is so good fresh from the oven or even chilled in the fridge. I’m not sure why, but I love a good cold cupcake. Do you like cupcakes cold? If you haven’t tried it, you should!! My daughter and I love to bake together. 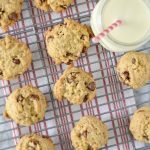 I always look forward ways to make indulgent recipes a little bit better and there’s a couple of ways to make our cupcakes from scratch and still make some healthy recipe swaps. Applesauce – when you use applesauce it gives the recipe a sweetness if you use sweetened applesauce. We always use unsweetened if we’re adding in sugar. 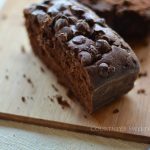 This really works well for brownies and muffins and has zero fat! Yogurt – when you use yogurt it still gives you moisture and even a little added protein! Coconut Oil – Coconut oil is a great oil to swap for regular oil, just make sure you measure it in liquid form rather than solid form. This is easy to do in the summer since it’s always hot and coconut oil is usual liquid, if it’s not you can warm it up in a pot on low heat, don’t heat it up, just make it a liquid. Pumpkin Puree – Pumpkin puree is one of my favorites for muffins and pancakes, especially if you’re making a pumpkin flavored tree and add in spices like cinnamon and nutmeg. Combine the flour, baking soda, cocoa powder, sugar, and salt in your stand mixer. Once combined, add in the yogurt, milk, vanilla, and egg. 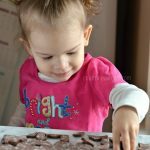 Mix fully and then fold in the chocolate chips. Using a small cookie scoop place the cake mixture into the mini muffin tins. Bake for 9-13 minutes or until a toothpick inserted comes out with minimal crumbs. 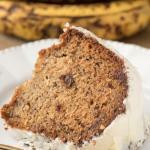 Combine all ingredients until it forms stiff peaks like whipped cream. Pipe onto your desired dessert and top with sprinkles if desired. 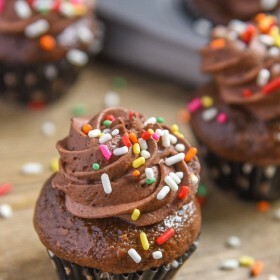 Definitely love cold cupcakes 🙂 This looks delicious and chocolatey! 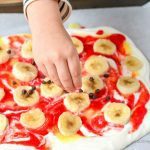 I like how quick and easy this can be made and fun to do with kids. 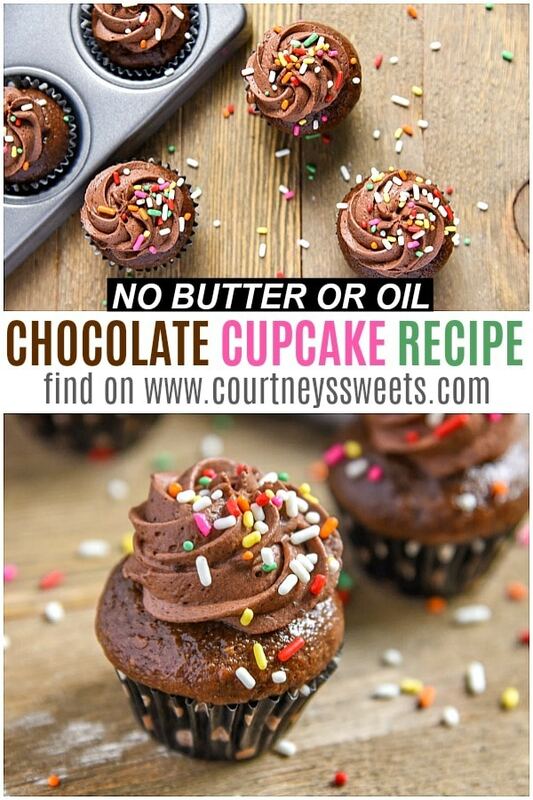 Thanks for providing the healthy baking swaps, Courtney!